CHAPTER I: THE HUNT ? It is a time of chaos. A mysterious army led by twin conquerors has carved a path of destruction across the worlds of the warring Galactic Republic and Sith Empire, then disappeared into uncharted space. ? Meanwhile, an older threat still looms: the former SITH EMPEROR, revitalized after annihilating all life on the planet Ziost, has similarly vanished without a trace. ? 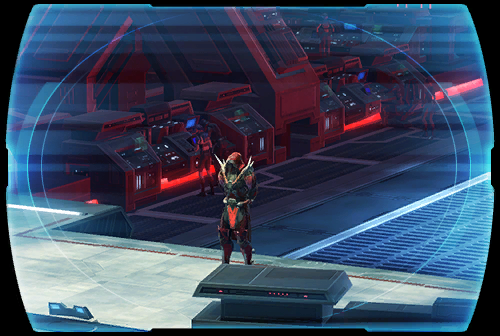 Determined to hunt down these dangerous foes at any cost, Imperial leader DARTH MARR gathers allies from both factions to join his incursion into the far reaches of Wild Space.... ?